The Working Committee of the United National Party (UNP) today unanimously approved Field Marshal Sarath Fonseka for the parliamentary seat left vacant by the death of Minister M.K.A.D.S. 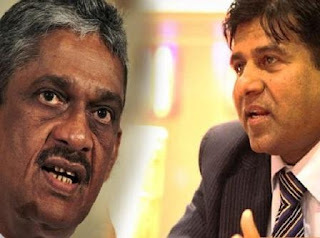 Gunawardena, UNP acting General Secretary Akila Viraj Kariyawasam says. This came after the UNP signed a collective agreement with the Democratic Party (DP) led by the former Army Commander at Temple Trees in Colombo. The agreement was signed by Fonseka as the leader of the Democratic Party and Prime Minister Ranil Wickremesinghe as the UNP leader. The two leaders exchanged agreements for the Democratic Party to join the United National Front (UNF), the coalition led by the UNP.